Responding to criticisms that the Xbox One looks like a VCR from about 1995, Microsoft has opened up about its design choices in the hope of making it all seem a bit more rational. 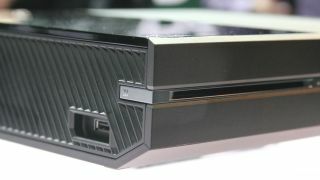 Most of us were expecting something a bit more flattering than the boxy form revealed last week, but Microsoft insists it has taken "a new approach to design" in the way it brings all of the console's features together. Posting on its Xbox One blog with an accompanying six-minute video, Microsoft has walked us through the process of creating the new Xbox, from the mock-ups of sensor bars to the wireless controller. "We wanted to think from a holistic perspective," said Ramiro Torres, Creative Director of design on the Xbox One. "Its design has to make an appropriate statement that reflects its capability as an all-in-one entertainment system." Colour played a big part of this, according to Microsoft. "The console and Kinect sensor are liquid black so they melt into the background when being used, allowing the content on your TV to dominate the living room." You can check out the new video below - it includes a glimpse of a few initial designs that didn't quite make the cut.